Video: Wolf & Moon - Garden Of Potential | Give it a spin! 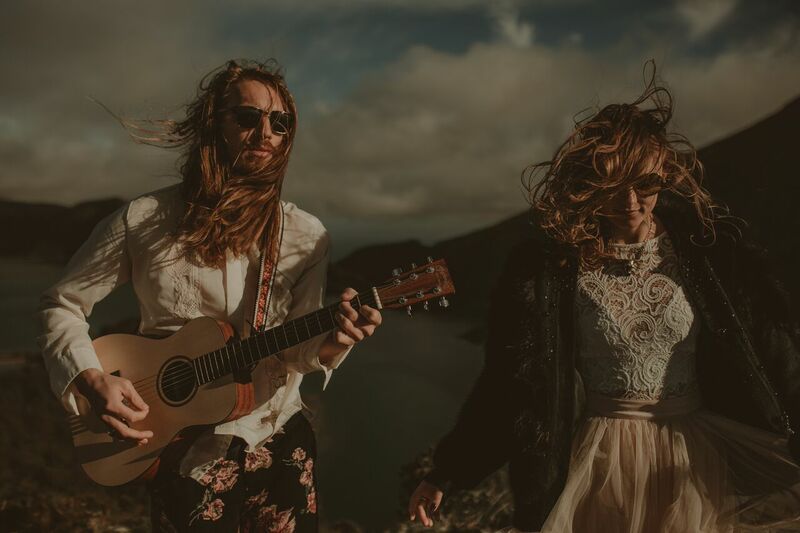 Dutch Dream-Folk Duo Wolf & Moon sound like a symbiosis of Angus & Julia Stone combined with vibes from Caribou and Local Natives. The musical pairing of Stefanie and Dennis aka Wolf & Moon, bring a Garden of Potential to our ears and sight today, it just echoes like a spiritual cymbal, full of love and positivity. Their musical journey led them to stages in the biggest of cities in the USA and a recording session in Sweden. Moving to Berlin was the next step. The first single of W&M has been released today as an official video, off the new LP. The duo gravitates quite naturally into a middle key folk-dream-pop aura. Honey-dripping vocals / alluring low-humming notes are brightly optimistic with a sense of compassion in the lyrics, all glowing on a steady beat-string frequency. It’s a nebulous compulsion of an out crying heart into the orbital momentum of a semi-transparent world. Secrets do lay in between shadows of the celestial sun they stare upon in the garden. Wolf & Moon came on this planet to fascinate our souls, and that so, is a goal already conquered. Pre order here. More gig updates on Pon’t Danic Music.